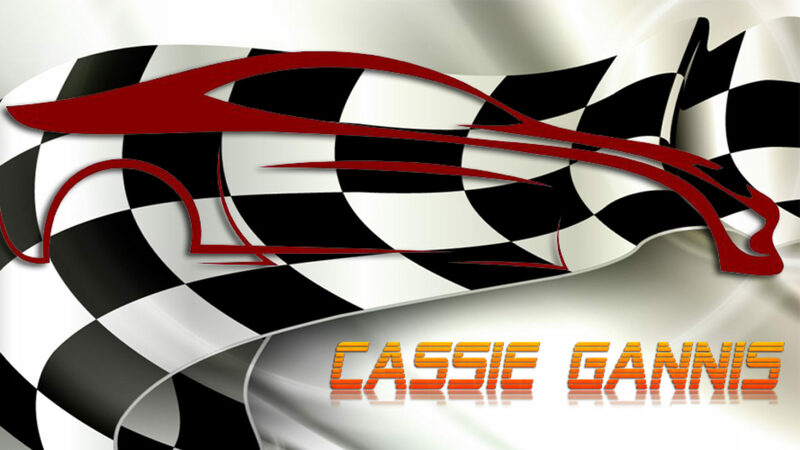 This will be the first “Catching Up with Cassie” blog this year. I hope to continue it throughout the entire race season. I will also be adding a guest written, my Crew Chief, Rich Butler. From him you will hear more insight into why things are done or why the car is set up a certain way. Sometimes some of his decisions are not even know to me. 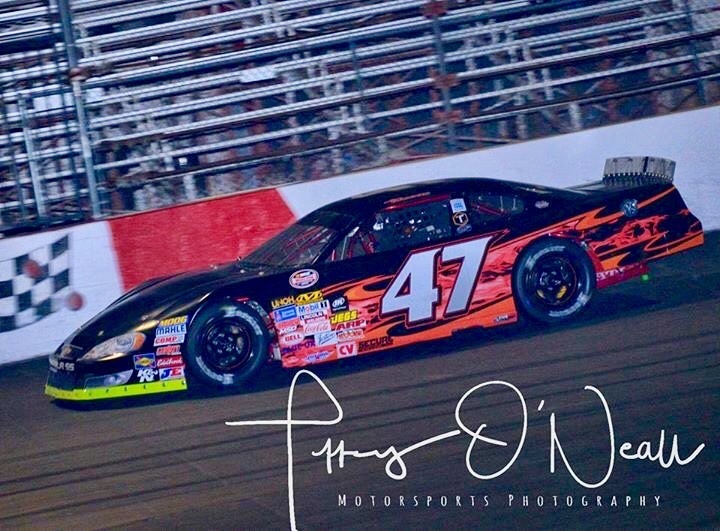 It is hard to believe that I have been out of my Super Late Model for almost 2 years. Where did the time go? it was wonderful to return to Tucson Speedway. Our team acquired a NASCAR Super Late Model and we have been busy working in the shop getting it ready to race. We pretty much went through the racecar from top to bottom. Our first race was this past weekend: the NASCAR Super Late Model Chilly WIlly 150 at Tucson Speedway, February 4th. After going through the car it was wonderful to get out and practice the weekend of the JAN 28th. At that time I pretty much took the racecar to about 75%. After that practice, we went home to make a few adjustments to get the car race ready. Our team attended practice Thursday and Friday with qualifying Friday night. Qualifying went well and we set the car up for long runs that occurs toward the end of the race. It was more of a get familiar with the car session. Qualifying placed me at 31st out of 38 cars. Our team felt OK with that place since it was a new car, set up and first time out in a long time. One thing I want to mention here is that we usually put in two Go Pros for the race. One is used to face forward and we learn a lot of important race data from that. Not only can see what the driver sees but you can also see what the racecar is actually doing in response to the driving. The other Go Pro we use to put on a part. This time we had one facing a shock so we could see how well the shock was functioning. Before each race Tucson Speedway has a Meet and Greet with fans on the front straight away. It was great to get out and talk with the fans. I am overwhelmed by the amount of support and love I get from my fans. Heather Yost, my other mom!!! Meet & Greet Love talking with the kids! Our team plan was to pass cars in front of me one by one, be patient and to stay out of trouble. That is exactly how we started the race. From the 33rd spot I had progressed to 26 when a caution came out. There were some issues with the racecar transponders but Tucson Speedway did the best they could to line up the racecars for the restart. There were quite a few cautions but I was able to stay out of trouble which was the goal. I was able to gradually work my way up to 19th place. I found that the car really likes the low line of the track. final report of on the racecar was just a donut on the right side so that was good. We all considered this a good finish. We now will go back to the show and fine tune some stuff. I want to thank my hard-working crew!!!!!! Thank you Rick Butler, Monty Shaw, Cole Krages, Tom Scott, Gino, Bobby Butler, and my dad. Thank you to my mom and my other mom, Heather Yost. Thanks Julie Anderson and Lisa Butler. Thank you Stacey Storey for the Taco Bell. Without these people I would not be able to do what I love!!! I want to thank and give a huge shout out to my sponsors who are on board this year. Cool Towels are coolng, refreshing, energizing & reusable! I want to let you know all know that we will continue to be doing some live Facebook updates during the races. I will also be doing a race round-up every week after the race. So send me a question or comment about something you would like to hear about. Next race will be in March 18 at Tucson Speedway in my NASCAR Super Late Model. Thank you to all my marketing partners! Rick Butler From the Crew Chief’s Chair: Cassie’s lap times were consistent between 16,6 to 17.2 all week-end. We did not have a lot of fall off. All we worked on is to be consistent and prepared for the season which will start on March 18th. With the new racecar, it is all about getting the driver comfortable and the car consistent too small adjustments. This is what we need in order to win a championship. Seat time is what we needed to work on and we were very successful even though we have a few more adjustments to make in the car. It is still consistent and the driver rust came off really fast. The important thing is that she was consistent in the car.